BankVic is a member owned bank, focused on serving police, health, emergency and public services, as well as their family and friends. BankVic opened their doors in 1974 and has now grown to service over 112,000 members. BankVic has four personal loan products and an overdraft facility. BankVic has a secured and unsecured variable rate personal loan, a secured fixed rate car loan and a travel loan. The key features of BankVic’s unsecured personal loans include the option to borrow up to $60,000, a low $90 application fee and 7 year terms. BankVic personal loans also have no regular monthly fees. BankVic’s negative is that they’re part of Cashcard ATM network. BankVic Personal loan approval time vary; for some existing clients applications will be approved on the same day. If they require additional information, it anywhere between 2 and 5 business days. Whether it's that home theatre, boat, furniture or computer that you've been thinking of, BankVic's personal loan can help make your dreams come true. WARNING: This comparison rate is true only for the examples given and may not include all fees and charges. Different terms, fees or other loan amounts might result in a different comparison rate. Comparison rate for the personal loan (unsecured) has been calculated on an unsecured loan amount of $10,000 over a term of 3 years. Comparison rate for the personal loan (secured) has been calculated on a secured loan amount of $10,000 over a term of 3 years. 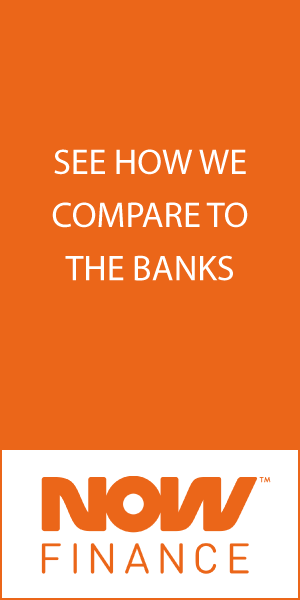 Did you know you can compare 100’s of personal loans? Browse, filter and save on our main personal loans comparison page. You can borrow for almost any worthwhile purpose, and no, going to the casino and putting it all on black is not a worthwhile purpose. If you’re an existing BankVic member you may have applications approved and funded on the same day. For more complex applications approval times vary between 2 and 5 working days. Do you have an BankVic personal loans calculator? Yes. View the BankVic Personal Loans calculator. If you’d like to apply online for an BankVic personal loan, visit BankVic’s website by clicking here. There are many additional factors BankVic consider when assessing your application, but the above are the most important. If you feel like you may not meet their eligibility criteria, it may be best to save! If you have already applied for an BankVic personal loan, you can check your application status by calling 13 63 73, 8.00am to 7.00pm AEST, Monday to Friday or 9.00am to 12.00pm, Saturday. You can borrow between $2,000 and $60,000. Terms vary between 1 year and 7 years. BankVic allow weekly, fortnightly or monthly repayment. BankVic’s Variable Rate Personal Loan gives you the option to make redraw additional payments you may have made. Here’s a video of BankVic doing some nice stuff for their community.